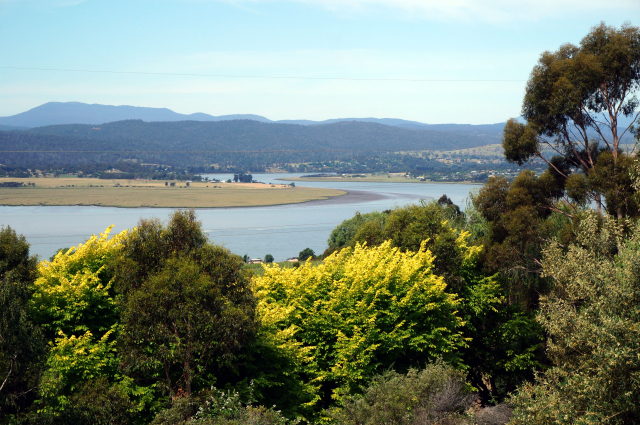 The Tamar Valley stretches north from Launceston to the ocean. This river valley is Tasmania’s largest wine producing area. The eastern side producers are famous for their champagnes. Having tasted many methode champenoise sparklers over the last week – Tasmania’s “champagnes” are easily the equal of any French (and they are much cheaper to boot at ~$30 USD). Just tremendous. The western side of the valley produces Tasmania’s customary catalog: pinot noir, sauvignon blanc, pinot gris, riesling, and chardonnay. Tasmanian wines are excellent. Too bad, with limited production and no export, that this excellence is not to be found in the US.